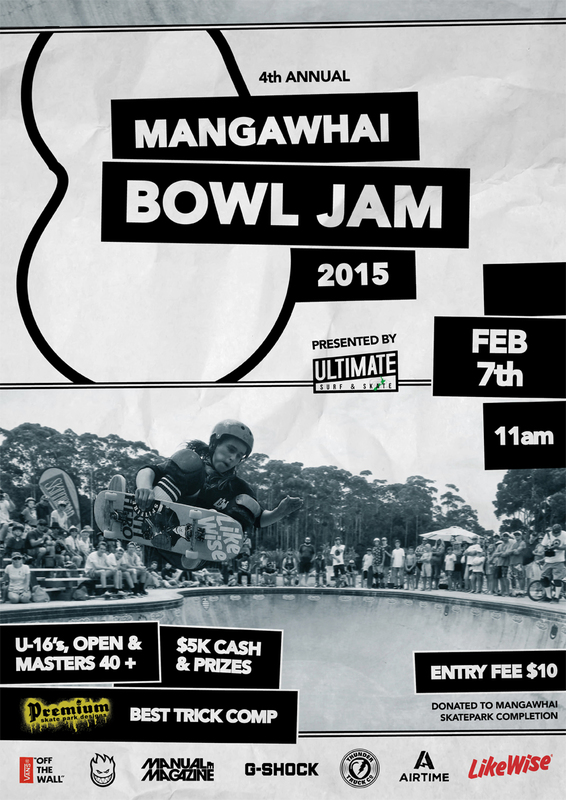 The Annual Mangawhai Bowl Jam is back again for the fourth time on February 7th. Divisions for under 16’s, opens, and masters (40+). $5K cash and prices! This entry was posted on Friday, February 6th, 2015 at 6:39 am. It is filed under Events, Skate Park. You can follow any responses to this entry through the RSS 2.0 feed.